We all have to negotiate every day in some form or another and the skills required to work your way to a ‘yes’ are pretty much relevant whether you are arranging a weekend away or negotiating a large deal at work. You’ll have heard the term ‘negotiation style’ and we all have traits that will reveal, to better negotiators and people who know us well, how best to negotiate successfully against us. So try not be particular in the way you approach any negotiation, be clear, flexible, open minded and adhere to some basic principles that are more likely to get you a ‘yes’ – which, after all, is what you want. 1. Be willing to walk away. 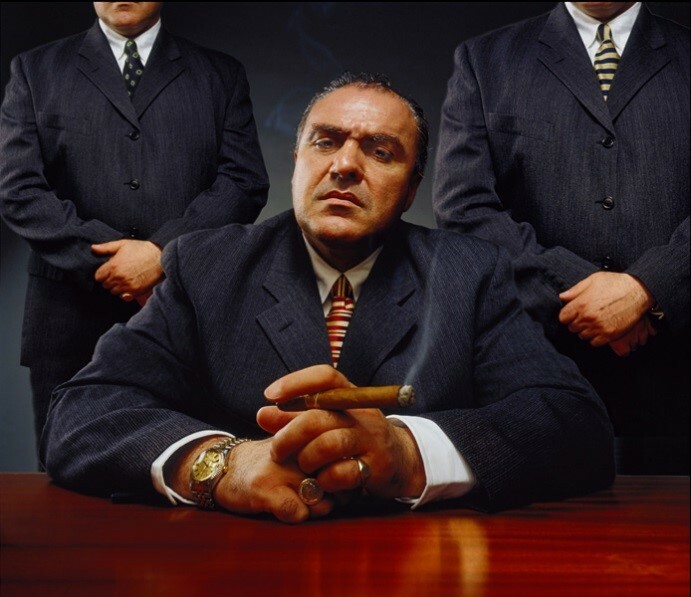 If you mean business, you must be prepared to walk away from the negotiating table. If someone really wants to work with you, they will try and find a way. A good deal that will last needs to have mutual benefit and if what you are getting does not stack up against what you are giving, you are being undervalued. Many parties feel the business they are negotiating with holds all the cards, but if you think laterally, there are often things you both want that can provide mutual value. Remember the key objectives each party has. A customer who wants greater value does not necessarily have to have a lower price. A familiar scenario of when you may need to walk away is when a business has many customers but some are not profitable and only there to provide volume or for historic reasons. Renegotiating terms in these circumstances will improve profitability in many cases but but it also may end up with you agreeing to part. Remember that ‘turnover is vanity, profit is sanity’ and move on. Your staff will feel more valued if you get rid of a customer where their work hard is not rewarded. Ultimately though, it’s important to know when to call it quits in order to keep the integrity (and profitability) of your business intact. More on walking away from a negotiation. 2. Know your non-negotiables. Everyone has deal breakers (or should have) so make sure before you enter a negotiation that you have worked out what is absolutely non-negotiable about your business proposition or model. The fact is that people will always offer suggestions to try to change what you are doing, generally so it fits with what they want. Sometimes their advice is valuable and you can flex to change what they want; sometimes it’s not. It’s wise not to have too many non-negotiables though, otherwise you limit the opportunity for flexibility and compromise in the search for a mutually valuable agreement and actually devalue each non-negotiable point as there are too many. 3. Get comfortable with awkward silences. When it comes to the art of negotiation a very effective tactic is to try not to speak first. Having explicitly stated what it is you want, zip up and listen. When a situation gets uncomfortable because of an awkward silence, don’t be tempted to fill the gap just as you might just end up saying something without thinking it through, such as making an unconditional compromise, where you make a concession without receiving a corresponding one back. So make your point, be confident and force yourself to wait for a response. 4. Pick up the phone. Negotiations are challenge enough, but often made more challenging because what is said and what is written about doesn’t match one side’s understanding. It’s not unusual to miscommunicate over email and there are several times that I can recall misinterpreting what has been written to me. You’ll strengthen your relationship and negotiation options by clarifying what you and the person you’re in contact with really mean simply by picking up the phone. Use the phone for clarity, to be persuasive and ensure the right emphasis is given. It’s always best to talk in person, especially when it comes to discussing any sensitive issues, such as non-negotiables. At Ecard Shack we often come across customers that want to have additional versions of their business Holiday ecards for different departments or different office locations. We negotiate terms personally over the phone with them, highlighting the value we can offer them with discounted pricing for additional versions of their business ecards, whilst still retaining profitability on the incremental income. A mutually beneficial deal that reinforces satisfaction and repeat purchase.